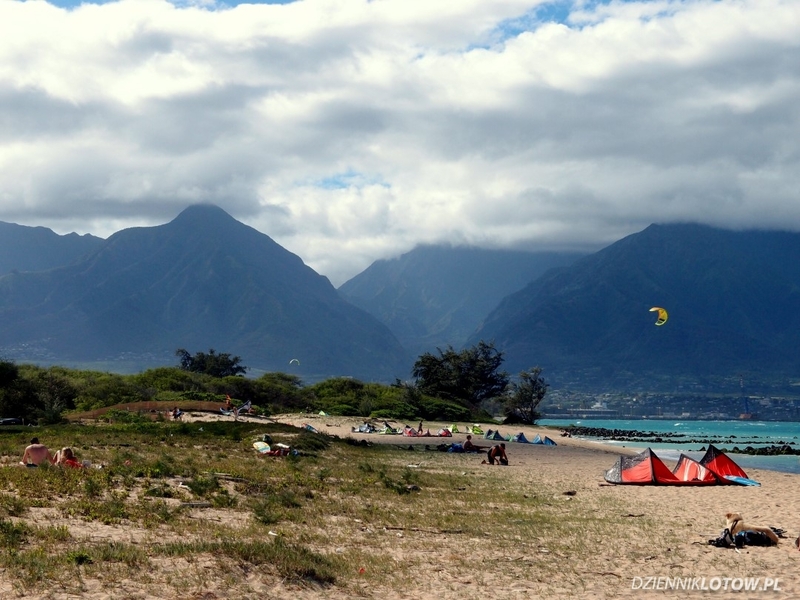 The most popular spot is the beach on the north side of the island, very close to the airport in Kahului. It’s located near Kahana Beach Park. The Kite Beach is a general name of this area, which consists of several smaller beaches: Naish Beach, Beach etc. 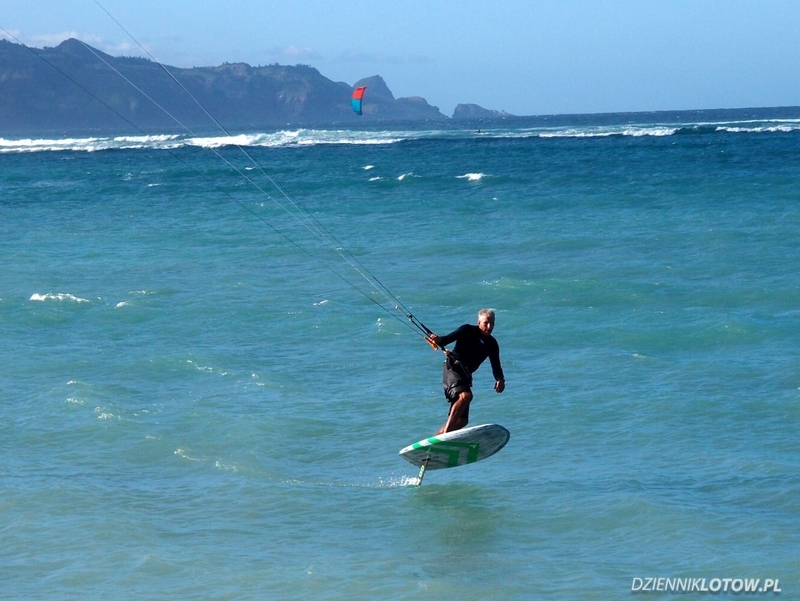 Everyone is advised to start their Maui kiteboarding experience there because other spots require knowledge of the surrounding area and is not advisable to kite there on your own. 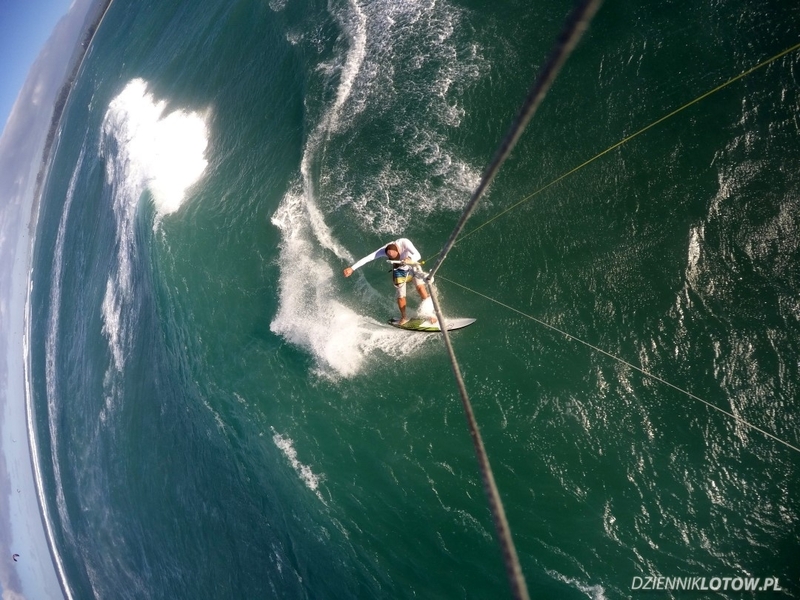 Most of locals is kiting there as well, so don’t waist your time looking for other spots. Launching your kite may be quite a challenge for beginners. The beach itself is slightly sheltered from the wind, especially when the wind comes from E. Standing on the shore, it often seems that there is no wind at all, while 100 meters away into the water gives you 20+ knots. It happens even to the best kiters that their kites fall into the water during the start, and many beginners „parked” their kites on nearby trees. The best strategy is to observe what kite sizes are pumped by locals, wait for the breeze and get away from the Shore immediately after launching. Although there are several kite-schools in the area I wouldn’t recommend to learn kitesurfing there, precisely because of the capricious wind on the beach and challenging start. Kite Beach is considered to be the best spot in the world in terms of wind statistics. In the summer it blows every day, in the winter blew for 6 from 8 days. With me I had my 8m and 11m kites. It was enough for the conditions I had, although I wished I had a 6m during 2 days. Practically it always blows NE or E. As I wrote before, with E the wind on the beach is week and gusty. Further from the Shore it gets much stronger, but still gusty though. Winds from NEW are definitely more comfortable for kiting. On the water wave boards are dominant. With 15knts waves are very pleasant, long and rather safe. It seems that 80% of boards are directional wave-boards, 15% twintips and 5% of the hydrofoils. For 8 days I have not seen a single unhooked trick and only 1 time someone rode boots. Flat water is only close to the shore, but there is rarely good wind. The so-called “Pro pool”, i.e. sheltered lagoon, where reportedly Pros practice sometimes freestyle, is maybe 100m wide. Personally, after the first day of riding a TT board I switched to a wave-board and rode it until the end of my stay – way more fun! 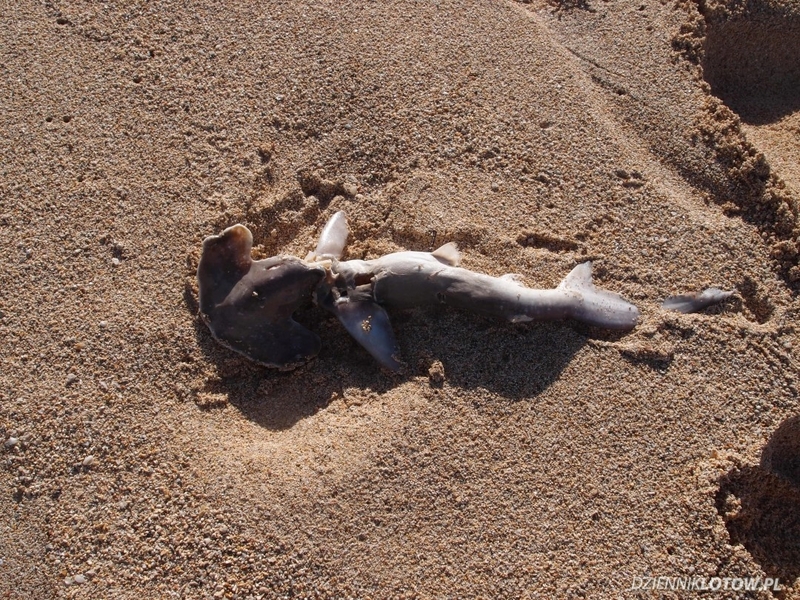 In addition to the turtles apparently there is also a lot of sharks, although thankfully I just saw this little hammer on the beach, which will eat no one anymore. A friend of mine told me a story how he saw a 5-6 meter shark passing him by the other day! There is a good variety of kite shops and schools in the are. I rented my boards in a few of them and my personal favorite was Second Wind . Professional and helpful staff and wave-boards $5 cheaper than anywhere else ($ 20/day). On the spot, not far from the Pro Pool, there are 2 kite school trucks with equipment, so you can get yourself lessons directly on the spot. I stayed at Northshore hostel in Wailuku, which was probably the closest one to the spot. In its neighborhood there is everything you need – shops, restaurants etc. Another recommended village is Paia, due to the hippy-surfer atmosphere. There is a highly rated Aloha Surf hostel, which unfortunately was booked out during my stay. Looking back I don’t really regret because from Paia there is further to the spot and less attractions after kiting. 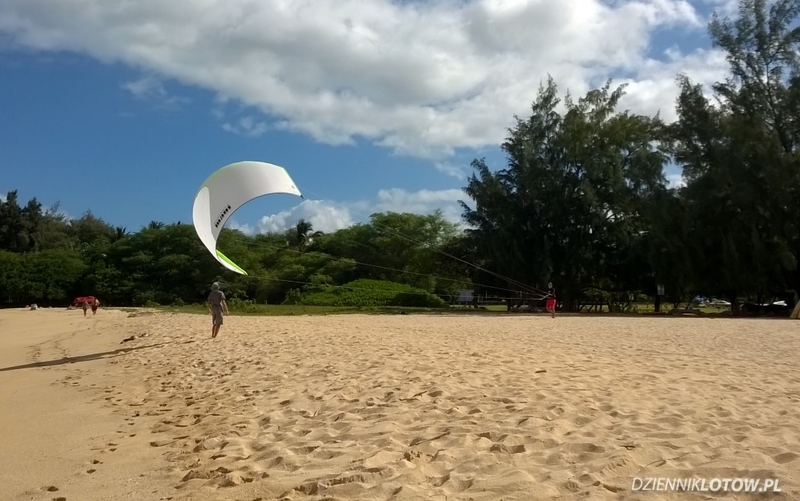 This entry was posted in Travel and tagged hawaii, kite, kite beach, kiteboarding, kitesurfing, maui by admin. Bookmark the permalink.